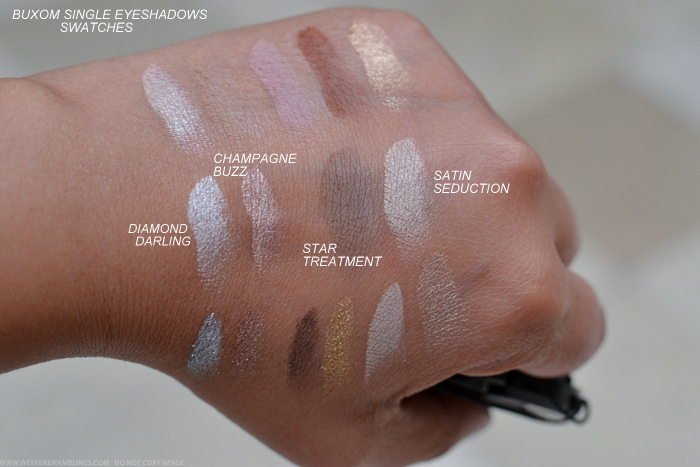 The display had the softer, neutral shades to one side and the more vibrant colors on another, so I ended up grouping the swatches in a similar manner. 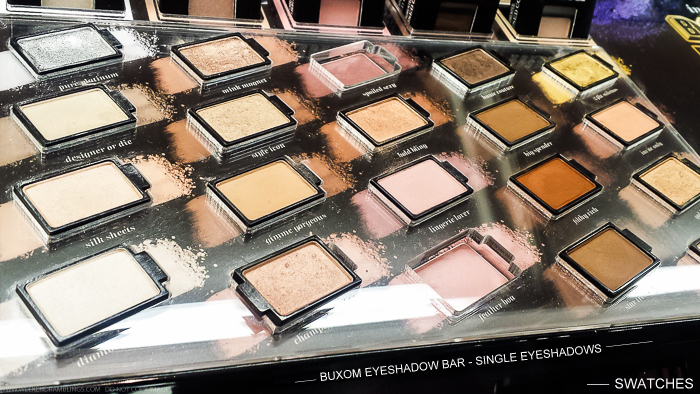 Here's a look at some of the neutral browns, champagnes, and mattes in the Buxom eyeshadow bar. 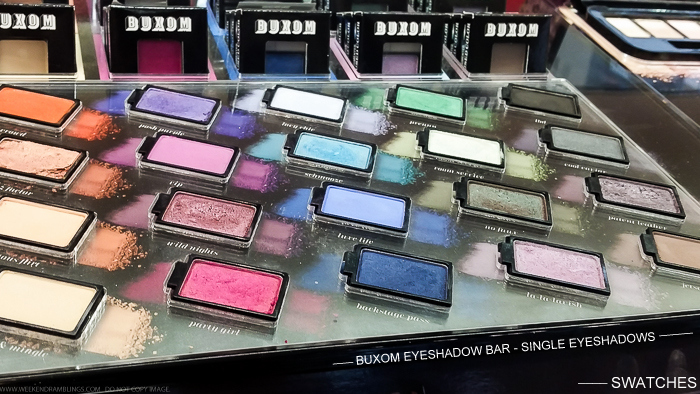 I love it when brands come up with ideas for custom palettes, and with a wide range of colors and textures, the Buxom eyeshadow singles are quite good. 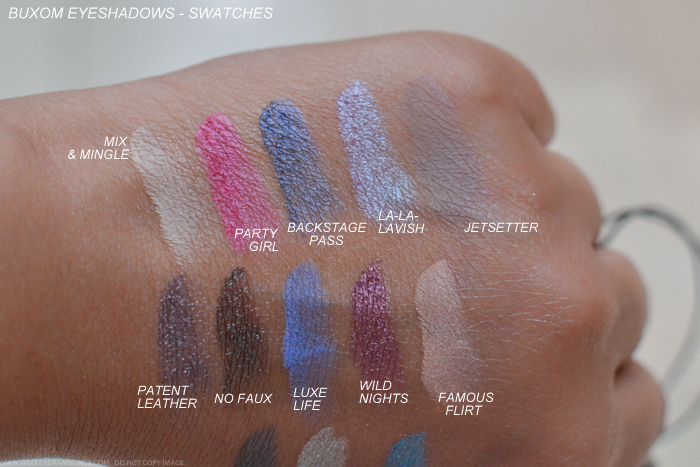 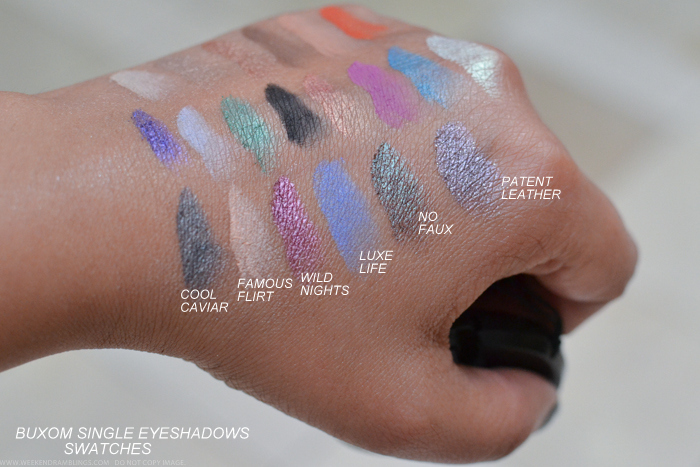 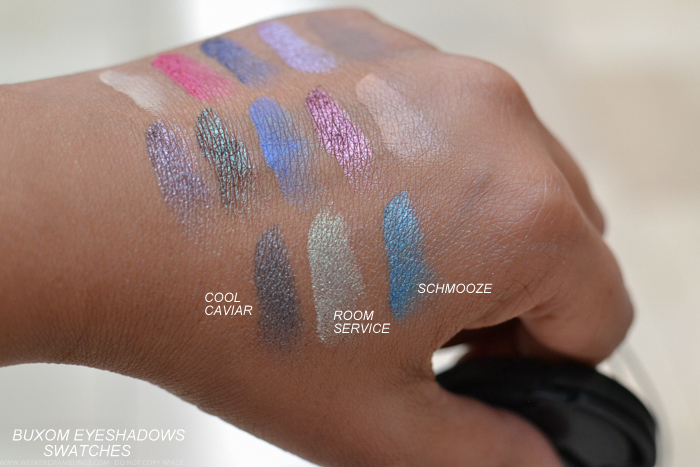 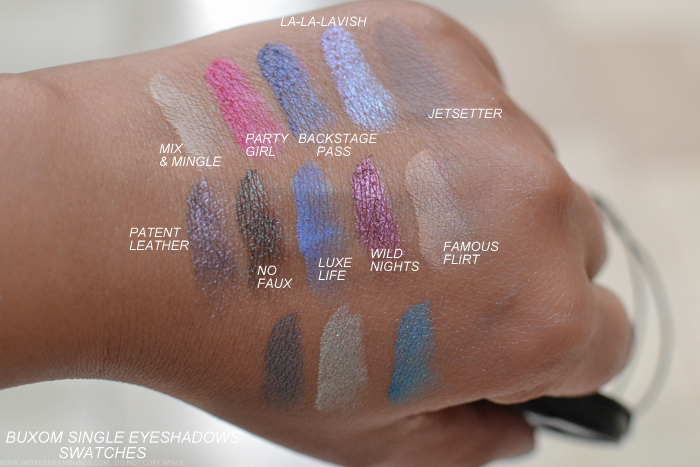 Most of the eyeshadows I tried were very pigmented and smooth - a few exceptions among the matte shades, but for the most part definitely worth checking out the next time you are at Sephora.